This article first appeared in The Edge Financial Daily, on December 29, 2017. Paul Auster’s 4 3 2 1 tells the story of the life of Archie Ferguson — that is, four different versions of the same life. Each Ferguson was born to the same parents, grew up with the same friends and fell in love with the same girl, but each of the four Fergusons have different relationship dynamics with these people and lead strikingly contrasting lives. 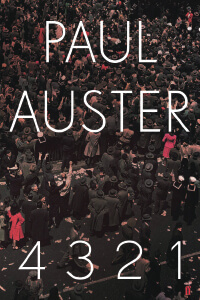 The longest of Auster’s works, 4 3 2 1 was shortlisted for the Man Booker Prize this year in September. Get the novel now for RM42.50 at www.kinokuniya.com. Pick up Before We Were Yours by Lisa Wingate. The novel begins with the kidnapping of the five Ross siblings from their home in 1939 Memphis. The children are taken to the Tennessee Children’s Home Society and hold out with the hope of returning to their parents, but soon discover the chilling story behind the orphanage. In the present day, a young lady born with a silver spoon in her mouth inadvertently begins unearthing the dark secrets of her family, and these uncomfortable discoveries link her to the Ross children from decades ago. 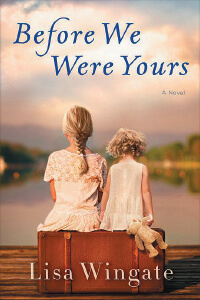 Inspired by the real-life case of baby kidnapper Georgia Tann, Before We Were Yours is a moving tale of holding on to one’s origins, even when one is far from home. Get the book in hardcover online for RM116.03 at www.kinokuniya.com.my. Read The Radium Girls by Kate Moore. The historical biography uncovers the events that followed the Curies’ discovery of radium, particularly the horrors caused by the world’s newfound obsession with the sensational glowing substance. The eponymous radium girls were factory workers who painted glow-in-the-dark watch dials using radium paint, therefore contracting severe radium poisoning over their years of work with the deadly substance. Follow one of America’s most notable fight for worker’s rights, how it led to improved regulations and nuclear research, and how it saved the lives of many. Get The Radium Girls in paperback for RM80.28 at www.kinokuniya.com.my. 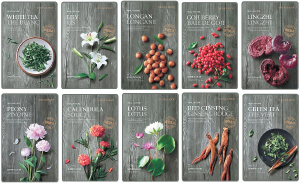 Treat your skin right with The Face Shop’s Real Nature Masks. The masks come in a variety of essences, including longan, goji berry, pomegranate, and many more, each of which will rejuvenate your skin and leave you feeling refreshed and moisturised. Grab yours now with the Buy 5 Free 5 promotion. The deal is available online. To purchase or for more information, visit www.thefaceshop.com.my. Your new year’s resolution list should include the determination to look your best in 2018. 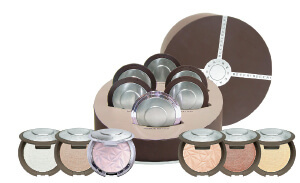 Achieve that with the Shimmering Skin Perfector Vault by Becca, the jackpot of all highlighter sets. The elegant box holds six full-sized highlighter compacts in the shades of opal, moonstone, rose quartz, pearl, rose gold, and prismatic amethyst — all you need to glow with glamour. Get it now at 20% off, for RM796, at www.sephora.my. A great meal is the way to end a great year and usher in another. Seek out this great meal at contemporary Japanese restaurant Nobu KL this weekend and indulge in their New Year’s Omakase menu. On the line-up are dry miso spinach salad with seared salmon belly, and lobster with shitake served with quinoa butter sauce, just to name a few. Wrap up the meal with the dessert named the Count Down, which pairs the Western crème brûlèe with the Japanese favourites of green tea and red bean. The exclusive menu is available until Jan 1, and is priced at RM595 for the meal itself, or RM680 for an additional glass of champagne. 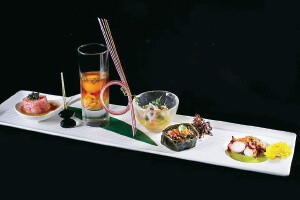 Nobu KL is located on the 56th level of Menara 3, Petronas Twin Towers, Persiaran KLCC, Kuala Lumpur City Centre. For bookings or enquiries, call (03) 2164 5084. 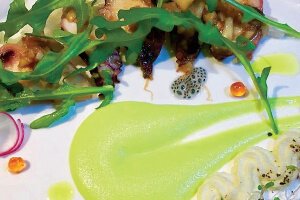 Italian food never loses its charm, especially not at Villa Danieli. Sit back and be wowed with the exclusive New Year’s Eve menu, starting off with canapes, risotto, and sorbetto, among other delightful starters. The main course will have you torn between lamb loin wrapped in filo pastry, monk fish tail, and stuffed quail, after which you will be left at the mercy of a fruity dessert of pineapple tart, drizzled with mango sauce and decorated with berries. Villa Danieli offers this delicious dinner for one day only on Sunday at RM188 per person. The restaurant is located in the Sheraton Imperial Hotel on Jalan Sultan Ismail, Kuala Lumpur. 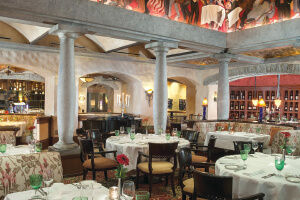 For more information or to make a reservation, visit www.villadanielirestaurant.com. If one of your goals for 2018 is to see the world, why not get started by heading to Terazza Brasserie for an opportunity to taste the world. 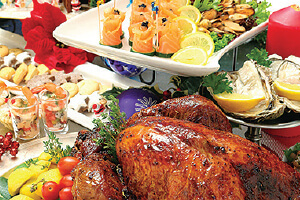 Feast on the culinary classics of Malaysia, China, India, the Mediterranean, Japan, including roast meats and seafood. The diverse spread is available for dinner on New Year’s Eve and New Year’s Day, from 6.30pm to 10.30pm, and for brunch on New Year’s Day, from noon to 4pm. The meal is priced from RM98 per person. Terazza Brasserie is located in the Dorsett Grand Subang Hotel on Jalan SS12/1, Subang Jaya, Selangor. For reservations or more information, visit www.dorsetthotels.com. Festive feasting does not have to stop after Christmas, so drop by Ruyi & Lyn and give their festive menu a go. Enjoy a six-course meal that will treat you to the best of Chinese cuisine, including a soy-glazed octopus appetiser, braised abalone and baby lobster as the main courses, and a dessert of chilled bird’s nest. The meal is priced at RM298 per person, and is available until Dec 30. Ruyi & Lyn is located on the fourth floor of Bangsar Shopping Centre on Jalan Maarof, Bukit Bandaraya, Kuala Lumpur. For bookings or enquiries, call (03) 2083 0288. Elvira Arul relives the Best of Her 2017 in this powerful showcase. 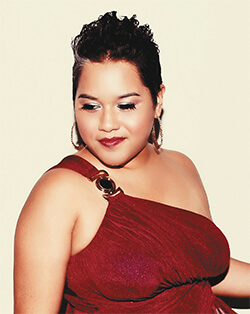 The singer brings back her takes on John Lennon’s Imagine, Blackstreet’s No Diggity, Whitney Houston’s Try It On My Own, and other soulful ventures that prove her worth as one of the most prominent singers in the local music scene. Arul is guaranteed to end the year on a grand note, so join her at 9.30pm on New Year’s Eve at Alexis Bistro Ampang, Great Eastern Mall, 303 Jalan Ampang, Kuala Lumpur. For more information, call (03) 4260 2288 or visit www.alexis.com.my.